Drew and Ellie Holcomb are a husband and wife Americana duo from Nashville, TN. Shortly after their marriage in 2006, the couple began touring together with Drew Holcomb and The Neighbors. The band has supported many national touring acts including Ryan Adams, The Avett Brothers, Don Henley, and Willie Nelson. Ellie is no longer a touring member of "The Neighbors," and has found success in a solo career as a Christian singer/songwriter. Her albums As Sure As The Sun and Red Sea Road have both topped the iTunes Christian chart. Drew Holcomb still tours nationally with Drew Holcomb and The Neighbors and their most recent album, Souvenir, is their most critically acclaimed release yet. 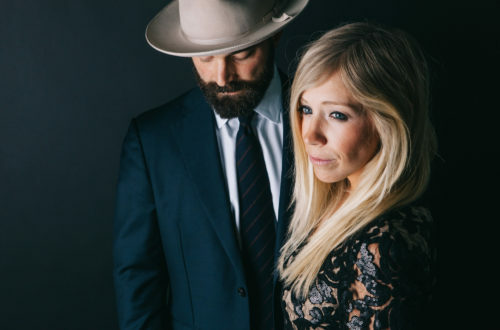 This January Jams, Drew and Ellie Holcomb is a special engagement event, allowing The Holcomb’s to collaborate once again.